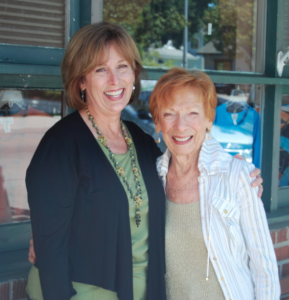 The Blenders in Paso Robles is a fashion boutique, and we love what we do. It’s who we are. As a mother and daughter team working side-by-side, we are fueled by the pursuit of providing the best in fashion, service, and overall experience to our customers. We aspire to provide lifestyle dressing for the women of Paso Robles and the surrounding communities. Our goal is to create relationships that are authentic. Provide support that is tangible, advantageous, and dynamic. And offer products and services that meet the needs of our community. We believe that collaborating with the customer should be as much fun as the end result. Let’s work together! Drop by today, or give us a call to get started. The Blenders was founded on November 1st, 1974 in the heart of downtown Paso Robles. The store originated primarily as a Merle Norman cosmetics studio that also sold fashionable women’s clothing and accessories. After seeing a need for a reliable place to purchase quality coffee beans in the North County, owner Barbara Lewin incorporated fresh coffee beans and teas into the store, along with ‘Jelly Belly’ jelly beans. This collection of products, tastes, and styles created a blend that was unique to the area, earning the name The Blenders. Today the store has refined its ingredients, while still retaining the original flavor of the store. The Blenders continues to offer the best in Merle Norman Cosmetics as well as a variety of women’s clothing, shoes, and accessories.